In 2012, budding authors hoping to become published names in the world’s most popular literary genre enrolled on a unique new course at City University London. The Creative Writing (Crime Thriller Novels) MA programme was the first ever genre-specific degree to be offered by a UK university and saw eight students complete the two-year journey. Now, after their graduation in autumn 2014, three alumni have secured publishing deals. Steph Broadribb is set to see her debut novel Deep Down Dead published by Orenda Books in early 2017. 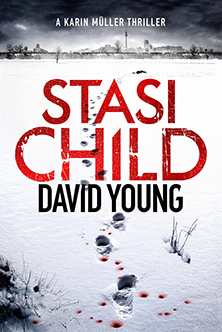 David Young has been offered a three-book deal, with his debut novel Stasi Child published as an ebook in October 2015 and due to be released as a paperback in February 2016. 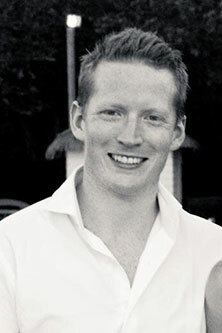 Rod Reynolds saw his first book, The Dark Inside, released in September 2015 as part of a two-book deal. Five other students have also been offered representation by literary agents and one graduate, Jody Sabral, won the 2014 Debut Dagger, a prize for unpublished authors awarded by the Crime Writers’ Association. Even after completing their studies, the close-knit group still meet every month to discuss their ideas. The second cohort is now approaching the final months of the course and applications are open for students hoping to enrol in September 2016. Prospective students are encouraged to attend an open evening on Wednesday 8th June, where Rod Reynolds will be among panellists giving advice on how to get published. David Young, who is represented by agency Peters Fraser & Dunlop, believes the success of the course is due to its core objective – to ensure students create a polished novel, ready to send to publishers and agents. He said: “I think the City MA was the key thing in helping me get a deal. What attracted me to the course was that it's the only creative writing Masters in the country where you have to write a whole novel to graduate. Stasi Child, which is published by Bonnier Publishing’s imprint Twenty7, is a historical crime novel set in the 1970s that follows the exploits of detective Karin Muller, who is investigating the murder of a teenage girl found dead by the East Germany border. The case reveals a secret conspiracy and sees Muller battle to solve the case while struggling with her marriage – made more complicated by an affair with her deputy. 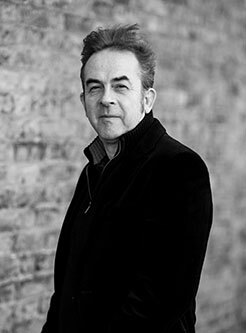 David has also secured a foreign language deal with Fleuve Editions in France for Stasi Child and an audiobook deal for the trilogy with W. F. Howes. His agency is also negotiating with a leading production company with a view to optioning the TV rights. The author, who has joined a growing list of published City alumni, explained the exercises and tuition on the Masters programme helped him to conceive the basis of his novels. 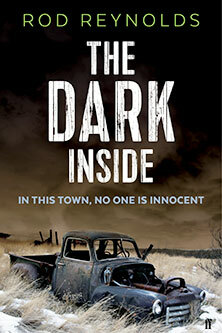 The Dark Inside, which is being published by Faber & Faber, tells the story of a disgraced New York reporter sent to a small town to report on a series of murders of young couples. After delving further into the killings, however, he discovers the case is more complicated than it first appears. The story is loosely based on real life events. Rod, represented by Diane Banks Associates, said: "Signing up for the MA at City was the best move I could have made and really helped me develop that extra level of quality needed to be a published author. I'd written a book before starting at City, which had attracted some agent interest, but through the course of my studies, I came to understand what had been missing in my first effort. Rod explained the business-related elements of the course were critical in helping him achieve his aspirations and take the next step. “The third strand of the course - which focuses on how to approach agents and publishers, and how to get an agent - was arguably the most important for me,” he said, “as it made me realise the mistakes I had made when shopping my first manuscript, years before. “That was key in helping me find the right agent and, ultimately, in helping me find a fantastic publisher in Faber & Faber, who liked the book – and the character City helped me create – so much that I am now working on the sequel." Deep Down Dead, by Steph Broadribb, is an action thriller set in the US. Its protagonist is a single mother who, in her life as a bounty hunter, faces a series of events that threaten her life and that of her daughter. Steph, who is known for her Crime Thriller Girl blog, said: "I'm thrilled to be publishing my debut novel with Orenda Books and to be working with people as dynamic, inspiring and devoted to books and publishing as Karen and her team. It really is a dream come true." As reported in the Guardian, the Creative Writing (Novels) MA allows students to focus on one of two areas: literary novels or crime thriller novels. The crime thriller genre is the most popular in the world, with sales of publications in the genre rising by 80 per cent in the UK alone in the last decade. Senior Lecturer and author Claire McGowan said: "I feel the intensely practical nature of our course, coupled with our links with editors and agents in the field, give our students the edge when it comes to publication. "With new groups of second year and first year students currently studying on the two-year course, I'm confident we will have many more successes to add to Rod, Steph and David's brilliant examples."